Our annual SOAR customer conference is coming up quickly! We’ve put together a program to help the BluJay community get the most value from their solutions, while creating valuable connections with others. Taking place in sunny Orlando, Florida, from May 14-17, SOAR 2018 will provide a personalized experience with thoughtfully planned tracks for our attendees’ role in the supply chain industry. Each track features customers presenting case studies and industry expert sessions covering trends and best practices. One of the roles we’ll focus on is the modern-day shipper, so let’s shed some light on what awaits at this year’s conference. Shippers in all industries face unique challenges today due to fuel instabilities and the market’s ever-growing capacity crunch. This is in addition to maintaining service levels without adding cost, while keeping up with the demand for high volume and even higher velocity. Shippers can better confront these issues as part of a connected and diverse distribution network. To help our customers operate within the current atmosphere while planning for the future, we’re offering sessions spanning many topics that provide management insights to address transportation and fleet management, parcel, mobility, compliance and customs, yard management, network integration, analytics, logistics as a service, and more. New this year, SOAR attendees can receive 15 continuing education credits from CSCMP. Training courses for shippers are also available from BluJay University. Attendees will learn from companies such as Hostess Foods, Vortex, Reyes, JBS, and others in breakouts spotlighting their successes with managing parcel, supply chain optimization, strategic implementations and more. Sessions will showcase how being a part of a large carrier network, such as BluJay’s Global Trade Network (GTN), can help businesses remain efficient and fulfill their diverse set of needs. With visibility across all transportation processes, we’ll highlight how shippers are able to maintain costs, control carbon emissions, and maximize efficiency from end-to-end in their supply chains. Shippers will see how the network enables partners to create a multi-company shared workflow, never losing sight of the process with real-time analytics, and how BluJay’s Transportation Management solution offers an end-to-end approach in one workflow that enhances efficiency and shrinks spending across transportation activities. We will also take a deeper dive into BluJay’s mobility platform, MobileSTAR. Check back here for further details on what to expect this coming May, as we continue counting down to the SOAR 2018 Customer Conference. 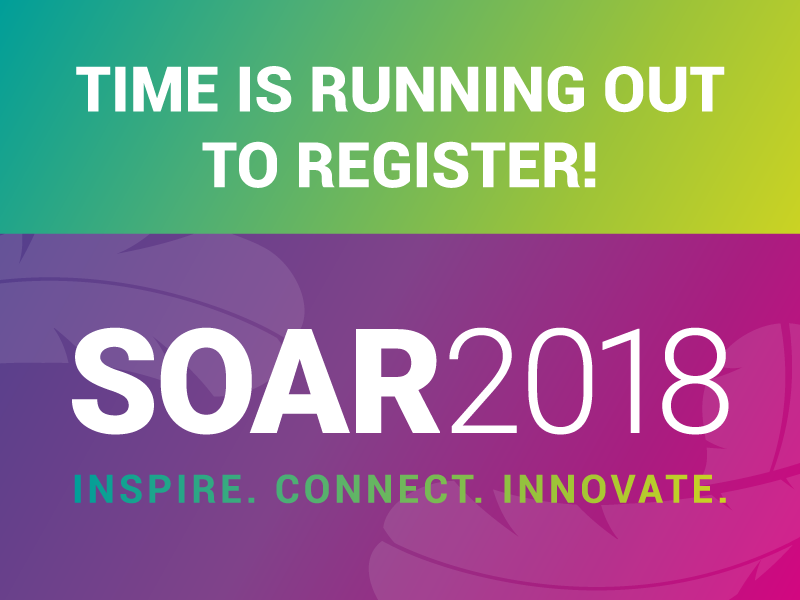 Find complete details or register at the SOAR 2018 website.